We are excited to announce the next InterNations event at “Le Moonshiners”! Le Moonshiners is a secret bar in the bistrot "Les Galopins". This bar hides its entrance on the floor of the bistro. 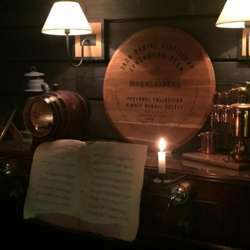 Atmosphere prohibition on the program and cleverly crafted cocktails, the perfect place for all fans of the Peaky Blinders series! We offer a welcome drink for our guests: a special cocktail with or without alcohol. Don’t forget to sign up for the event. It helps for the organization, gives you a discount and most importantly, a beautiful name tag with your name and country’s flag, printed with love. **Our guest list will close at 17:00 on 28 March. We're waiting for you all!